DENVER—In an act entirely unbefitting his refined and dignified stature, stately local cat Smokey was placed in an adorable, painful sweater Thursday, multiple sources confirmed. “Aw, look at you—you’re so precious,” said Smokey’s owner, Francine Heatherton, who reportedly spent several minutes forcing the cute and severely constricting article of clothing over the self-respecting feline’s forelimbs and torso. 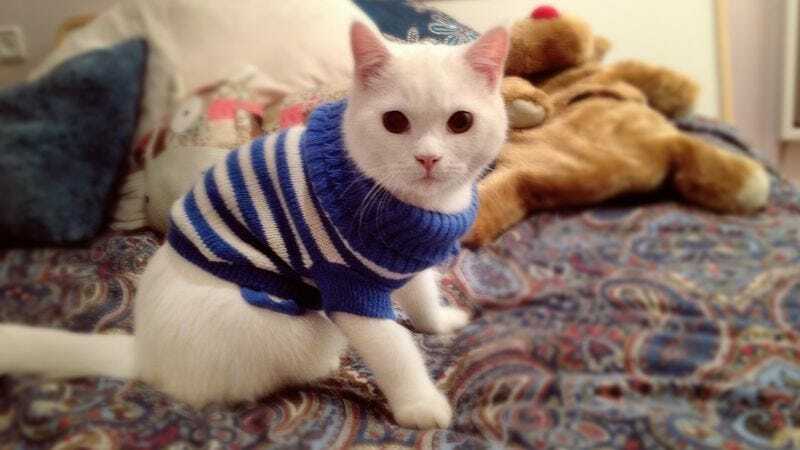 “I bet you just feel so warm and cuddly in your sweet little [profoundly uncomfortable and itchy] sweater.” At press time, Heatherton debased the otherwise noble and distinguished animal even further by posting a charming, utterly humiliating photo of the sweater-clad cat to her Facebook page.